Fileless malware attacks are steadily growing in recent years, both in absolute numbers and in their share of the threat landscape. Fileless attacks pose an increasing threat to organizations and a challenge for security vendors, due to the use of various non-executable file formats for infection, and the ability to conduct parts of the attack vector in-memory only. Cyber criminals are adopting fileless and memory-based attack techniques, which were once mostly used by nation-states. 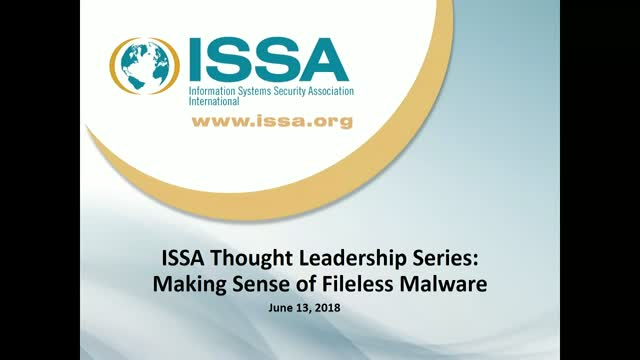 The panel will deal with the various differing definitions of fileless malware, overview some of the solutions and approaches taken by industry players in protecting from fileless threats, and discuss ideas and best practices for dealing with these threats.